Seeing the Northern Lights in person is a magnificent experience, especially if you’ve never encountered the ribbons of green, red, and blue light that streak across the sky. You’ve got to be willing to stay up late and find some dark places to see the aurora borealis. 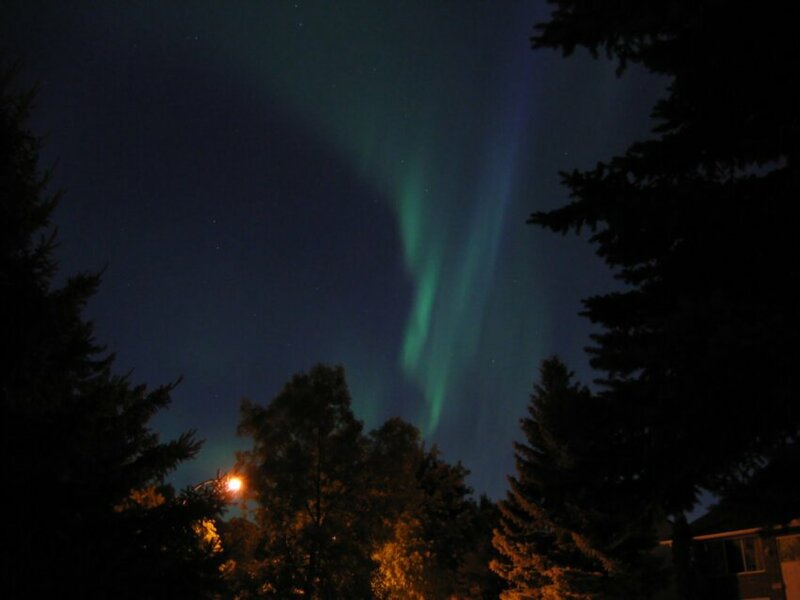 You also need to travel to the northern latitudes to encounter these beautiful lights in the sky unless there’s a rare sun storm or solar flare that excites atmosphere. If you’re thinking about traveling to see the Northern Lights in person, here are some of the most unusual ways you can enjoy the experience first-hand. Who wouldn’t want to sleep in a hotel that’s been carved out of the ice of a local river? This Ice Hotel is recreated every year because once the Spring season comes along, it melts and turns back into a flowing river. In the Winter, however, it is filled with magnificent art and is often referred to as an interactive art exhibition. Enjoy the Northern Lights, sleep on a bed that’s been carved out of ice, and enjoy the warmth of a blanket made from reindeer fur. Maybe staying in an Ice Hotel is too posh for you. If you’re ready to “slum” it and see the Northern Lights, then the ice igloos available in Kemi might just be the intimate encounter you’ve been wanting. There are also restaurants made from ice to enjoy and if you need to get in touch with your spiritual side for some reason, there’s a snow church to enjoy as well. If you really want to get out into the dark cold yonder to experience the Northern Lights, then this Inuit village that sits on the shores of the Arctic Ocean is the place to be. It’s difficult to reach, so plan on flying in some teeny tiny little airplanes to get there. You aren’t going to have any nightlife to enjoy and there’s the smell of salt and fish hanging in the air, but your reward is an uninterrupted view of the lights in the sky that is second to none. The one difficult component of seeing the Northern Lights is that there really isn’t a guarantee that it is going to happen. There might be clouds in the sky that interfere with the viewing. The moon might even be shining too brightly to enjoy the colors! At Abisko National Park, however, there is one place where thanks to an exclusive micro-climate due to a 43 mile long lake, clear skies are had almost every day of the year. Plan on a February-March trip for the strongest colors. If you want some of the comforts of home nearby, then a journey to Alaska to see the Northern Lights is in order. You could stay in Fairbanks if you wanted, but a trip to Denali National Park is more likely going to provide you with a better result. One word of caution: you may not be allowed to actually take pictures of the lights to use on your blog or other commercial publication. There are requirements that show you’ve got a contract or have been previously published with a circulation of 250k readers to have the opportunity at certain photos within the national park. One of the best places in the world to see the Northern Lights is on the interior ice of Greenland. It’s also one of the most difficult, rugged experiences the average traveler can face! You’ll need to pack some extensive gear to help you stay warm during the best viewing months because you’ll be roughing it to the extreme, but a pristine sky without any artificial interruptions will be your reward.